During the darkest days of the Civil War, wicked cutthroats came into possession of six pistols of otherworldly power. 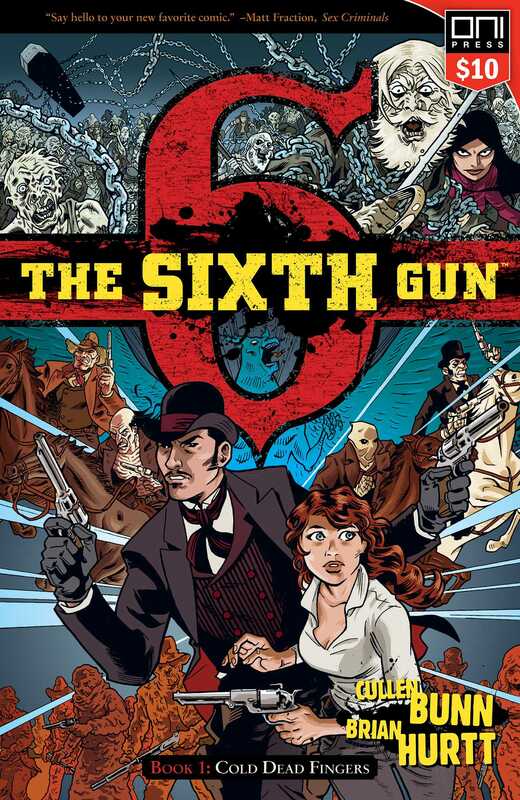 In time the Sixth Gun, the most dangerous of the weapons, vanished. When the gun surfaces in the hands of an innocent girl, dark forces reawaken. Vile men thought long dead set their sights on retrieving the gun and killing the girl. Only Drake Sinclair, a gunfighter with a shadowy past, stands in their way. Get the first volume of this critically acclaimed series for only $10 as part of Oni's Square One program!